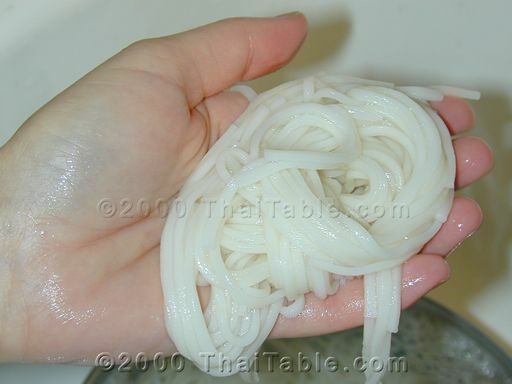 Boil rice noodles according to the instructions on package or just boil the noodles in plenty of water until soft. It should take about 3-4 minutes. Pour out hot water and rinse in cold water. Grab a handful and fold them in your palm. 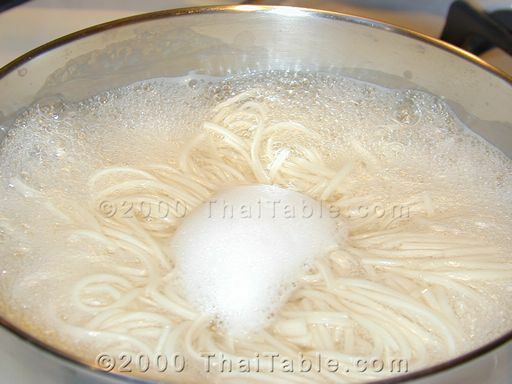 Press your palms together to get the water out. Place them in a ball shape on a plate. 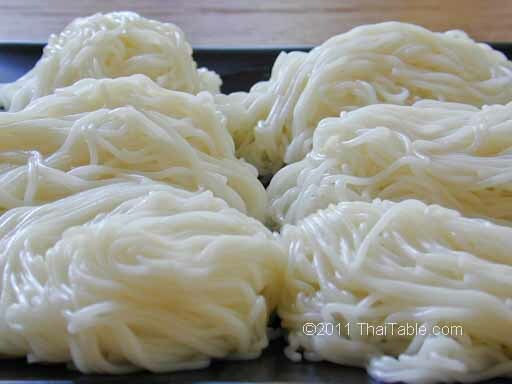 When you eat, each person can scoop 1 or 2 (or 3) noodle balls for their own plate.